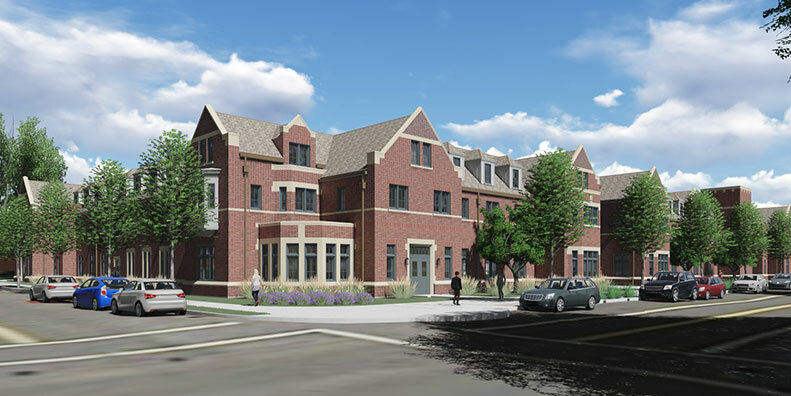 Lund Family Hall is a three story residence hall on Willamette Blvd. 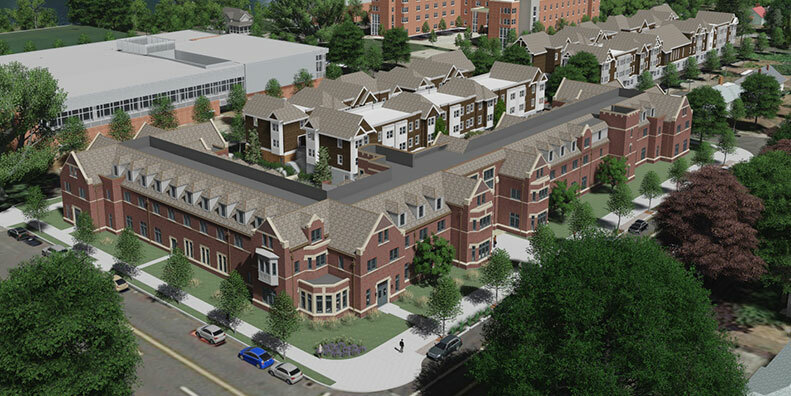 and Portsmouth Ave. that is home to more than 260 University of Portland students. 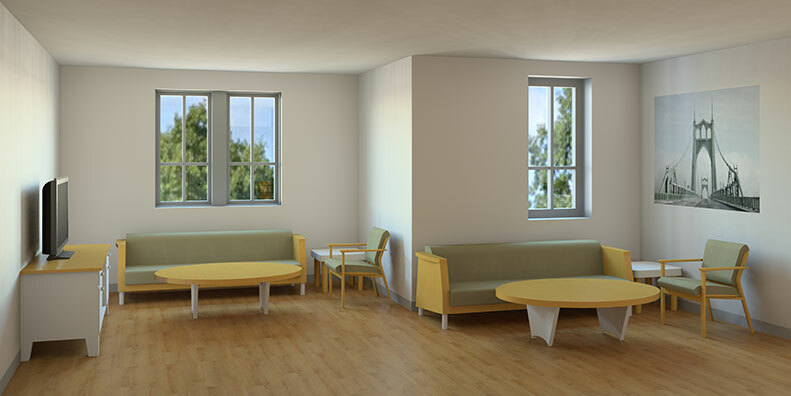 Each residential floor has a social lounge that is complemented by two study rooms on each residential wing. A large social lounge on the first floor offers space to gather with friends for socializing or all-hall events. A community kitchen off the main lounge provides tasty treats for after-Mass socials. There is a courtyard outside the main entrance to the hall, which is a welcoming space for residents to gather when the weather is nice. 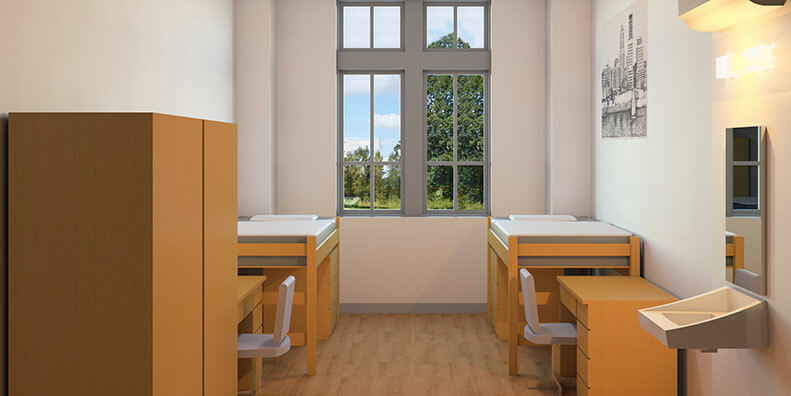 The first and second floor double rooms are approximately 206 square feet and are designated as extendable, meaning they can hold two or three students, while the third floor double rooms are standard double rooms at approximately 175 square feet. There are seven triple rooms in the building, which range from approximately 320 square feet to 370 square feet.